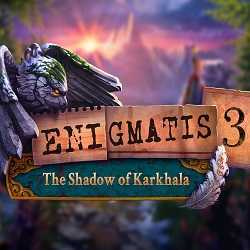 Enigmatis 3 The Shadow of Karkhala is an Adventure and Casual game for PC published by Artifex Mundi in 2016. The ultimate hidden object adventure begins! Play the enthralling hidden object puzzle adventure game from the creators of Grim Legends!